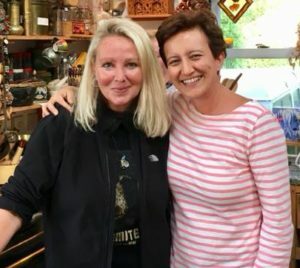 Welcome to my new Podcast, Spirit & Spice, produced by Katie Still. I say it’s ‘my podcast’ but really it is a ‘collaboration’ as I couldn’t do it without Katie and her expertise. Formally a presenter/producer for the BBC, she is an experienced freelance broadcaster and film maker and still covers Olympic and Paralympic Games for the Olympic Broadcast Services. So, please join us for some entertaining fly-on-the-wall style chat with characters talking about food and drink in Scotland and beyond. 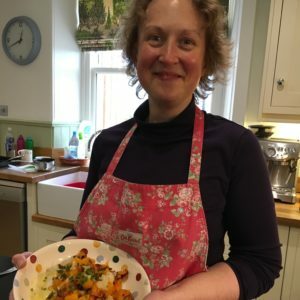 Every month you’ll have the opportunity to listen to recordings of 20-60 minutes with authors, chefs and producers; whisky and gin master-classes; and with people you don’t usually hear from – the ones who risk their lives at sea; brave the elements to rear and cull; bake, cook, and teach in communities; or simply people, young or old, who have a story to tell. 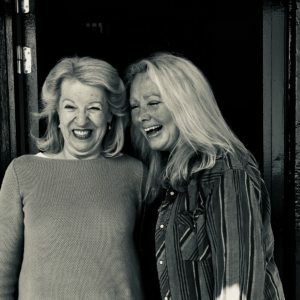 The aim of the podcast is to bring you voices from far and wide to give you an insight into what is going on, what is being produced, how people think and, possibly, how they survive – basically any tenuous link to food and drink! Please tune in or download and share! Ghillie joins Claire and Godfrey Macdonald for lunch with their dog Darcy. As Claire unleashes her thoughts about food, producers and chefs in Scotland, Godfrey reveals that life as the High Chief of Clan Donald is not all about splendid castles and champagne! Gather your bottles and glasses and join us for a chaotic whisky tasting masterclass in Ghillie’s whisky barn. Ann is guiding us through Glenlivet’s newest whisky, Captain’s Reserve, as well Glenlivet 18, Nadurra matured in Oloroso sherry casks, Braeval and Alt a Bhaine. 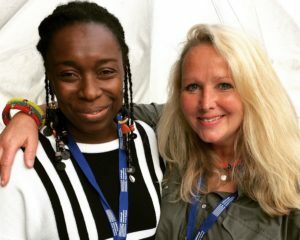 Yemisi Aribisala author of Longthroat Memoires has a lively chat to Ghillie about Nigerian culinary culture at the Edinburgh International Book Festival. There’s more to snails when they come out of their shells and a whole new business could brew on the Island of Barra. Walkers Shortbread is his life and his passion, but Jim Walker is also a community man and feels that his business and Speyside are intertwined. 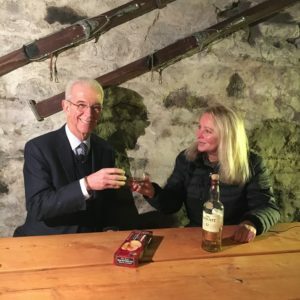 Relaxing with a dram, Jim chats to Ghillie in her whisky barn about humble beginnings becoming multi-national on a bit of good quality butter, flour and sugar! The Really Garlicky Company is both a surprise and a delight. Who would have thought that some of the best garlic could be grown in Scottish Highlands? 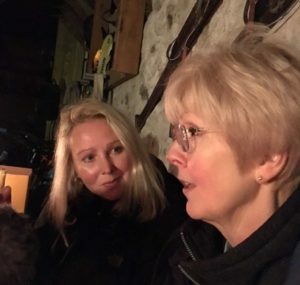 Ghillie catches up with Mrs Garlic, Gilli Allingham, one half of the husband and wife team, to find out why on earth they thought of growing garlic when they could have stuck with potatoes, barley, cattle or sheep! Before she appears at the Edinburgh International Book Festival, cookery author and teacher, Ozlem Warren chats to Ghillie about her fond memories of growing up in Antakya in southern Turkey and how cooking aubergines at Stirling University led to marriage!